One of the most common questions from couples is about when to send destination wedding invitations and save-the-dates. Add an at-home-reception to the mix and things get really confusing. What do you send to who and when? 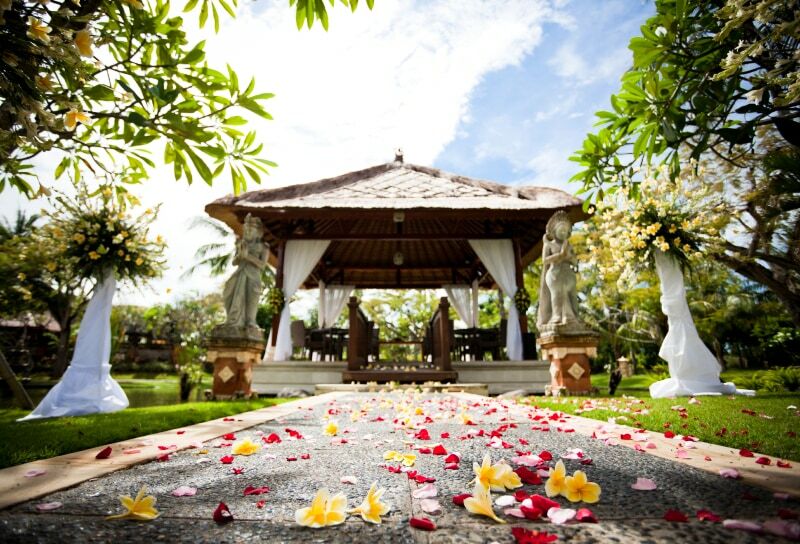 How do you distinguish between the destination wedding and at-home-reception, so as to avoid confusion? 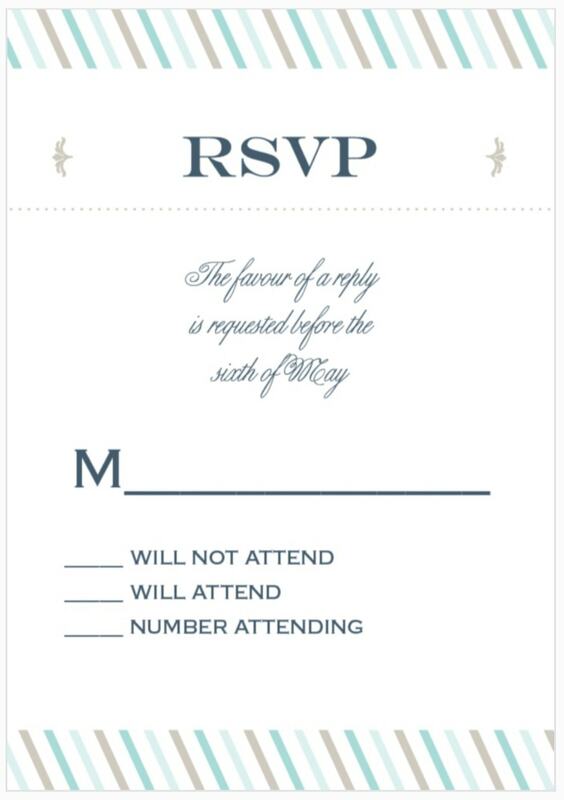 And when the heck should you ask for RSVP’s? Here is a complete cheat sheet to guide you and answer all your questions. Personal websites are becoming increasingly popular and common, especially for destination weddings. It’s a great – probably the best way– to communicate all the details. You should aim to have your personal website up as soon as you get engaged and have confirmed your venue and date. Even if you don’t have all the details yet, the date and location are enough to get people started. You can always update the site on a regular basis once you start confirming additional details. I wrote a post reviewing the best personal websites for destination weddings and I also give some tips for the information you should include on it. Your personal website can double as your save-the-date, or you can go the more traditional route and mail out a paper save the date. If you choose to mail something out, it’s best to keep it simple. Include your destination, wedding date, and the URL of your wedding website. Check out this post for more destination wedding save-the-date tips & ideas. By the time formal invitations go out, your guests should’ve known all about your destination wedding for quite a while via your website or save-the-date. I personally think that when you send destination wedding invitations too early, guests tend to procrastinate because they think they have all the time in the world. And then, what excuse will you have to remind them of the destination wedding as the date approaches? That’s why I view the invitation as merely a formality and a reminder that this is real, it’s happening soon, and they need to go ahead and book their trip ASAP! If you’re having an at-home reception (also known as post destination wedding receptions), I suggest mailing separate save-the-dates for your destination wedding and at-home reception – but send them at the same time. Here’s why – if someone who’s not invited to your destination wedding gets wind that you’re getting married, but they didn’t get a save-the-date in the mail, they could get upset assuming they’re not invited to the wedding at all. But if they get a save-the-date to the post wedding reception, then they’ll know it’s just the more intimate destination wedding they’re not invited to, which is usually understandable. You can send destination wedding invitations at the same time or before your at-home-reception invites. Get ideas on how to distinguish the wording of your at-home reception & Destination Wedding invitations. If you’re looking for design or wording inspiration, check out this post where I feature 21 gorgeous post-destination wedding invitations. The RSVP deadline depends on a lot of factors so it’s really hard to generalize because it’s different for everyone. I suggest you write down the deadlines from each of your vendors (i.e. caterer, travel agent, venue, resort). Then take the earliest deadline, and make your RSVP deadline one week before that. You should choose the earliest of all those deadlines and ask for RSVP’s one week before that. So in this example, you would take the July 12 date your travel agent requested and pad it by one week so that you give yourself enough time to gather all the info and send it to her, the caterer, and everyone else who needs to know. In this example, the RSVP deadline for an Aug 9 wedding would be July 5 (one week before the July 12 deadline from the travel agent). Giving your guests plenty of time to RSVP is another reason why it’s important to send destination wedding invitations months before. Timing: Varies, but 4-6 weeks is usually safe. Still have questions on when to send destination wedding invitations or save-the-dates? Ask in the comment box below. When planning a destination wedding and not using a travel agent, how do you deal with the guest list? For example, if I want to rent out a private island and it’s x amount per person. How do I get the money up front from them? Or do I pay for it and hope they pay me back… do I get the RSVP list before booking so I know how many? How does this work? I am pretty confused. If you’re planning to do something like rent out an island or a villa, you’re taking a risk if you don’t know how many guests will attend. I suggest you get an idea of how many guests will attend (maybe just ask around so you have a rough idea). The venue will probably accept a deposit to hold the date. You will have to come up with that deposit yourself. I would then suggest that you get a firm RSVP list and payment from your guests a few months before the final venue deposit is due. That way you’ll have the money to cover the final venue payment. I’m having a destination wedding abroad. I sent out Save-The-Dates (complete with a link to a very informative website which includes venue, dates, general times, and suggestions with links for nearby places to stay). My fiance and I have already booked our flights and rooms and our resort is already booked with all of our family and close friends. I have a few friends who have booked elsewhere but I’ve heard from others (through the grapevine) that they are waiting to get the physical invite before they book anything. 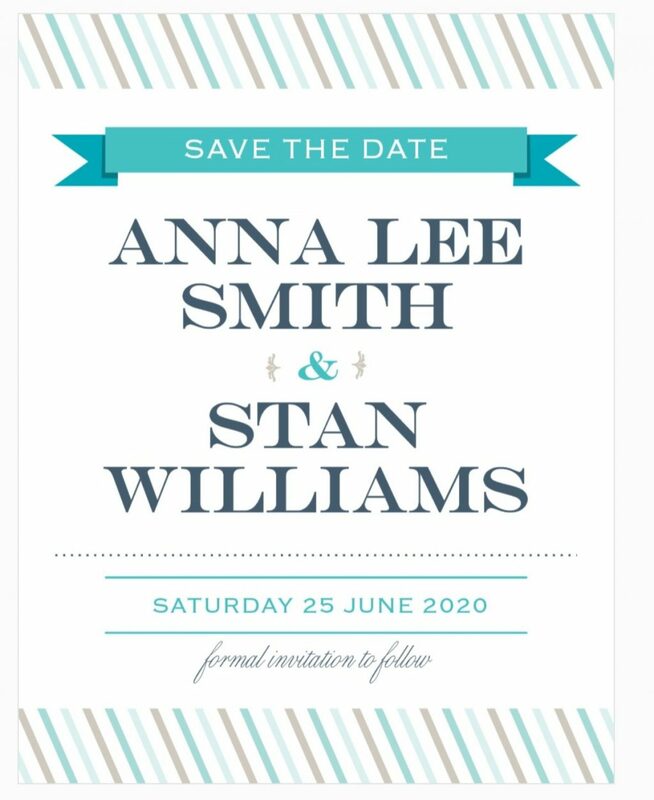 We were planning to send our invites about 4 months beforehand, so these people won’t have as much selection to choose from and flight prices may go up. Are they correct to wait for the physical invite? I assumed since that the purpose of sending save-the-dates so early was so that the guests knew all the info and could track flights/look at places to stay? Their response was that “things could change” (meaning the venue or location, not our decision to marry haha). Should they feel confident to book, or are they following etiquette by waiting? Hi Heather! I just read your comment, and had a flashback to when I was planning my own destination wedding 😉 It is very common for guests to wait until they get the actual invitation before they book travel. I even wrote about it in this article: Invitation Etiquette. And I don’t think it has to do with etiquette as much as it has to do with just being cautious. Nobody wants to spend hundreds or thousands of dollars to book a trip if they are not 1,000% sure that everything is locked in. A formal invitation gives people that sense of security. Just like you, I had a very detailed website, but nearly everyone waited until they received a formal invitation before they booked their trips. And if I’m being totally honest, I have to admit that I’ve waited for a formal invitation to book my travel for every single destination wedding I’ve ever been invited to. It just makes me feel better as a guest– but I know it’s stressful when you’re the bride lol. I’ve been in your shoes. So here’s what I suggest. Send an email message to all your guests via your website. I don’t know what program you’re using for your website but most of them allow you to send reminders or updates. In the message, you can assure your guests that none of the wedding plans will change (venue, date, and your decision to marry lol) and that you suggest they book their trip now, or risk increased rates. If your guest list is small, maybe you can even make some phone calls. I believe in throwing most “etiquette” rules out the window when you’re talking about very close friends and family. Good luck! 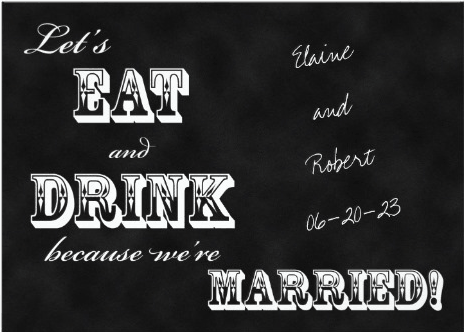 Would it be wrong to send the invitations as early as the save the date? I mean it’s the same information people need to book their travels? What’s the difference I’m not seeing? Thank you! It wouldn’t be “wrong” perse. The only thing to keep in mind is that sometimes when you send the invitation too early, it gets lost in the shuffle because there’s no real sense of urgency. You send an invitation a year in advance and people might feel like it’s way too soon to start thinking about it. If you don’t want to mail paper save the dates, you can always do a digital save the date using a personal wedding website. That’s what I did — that way everyone had all the information they needed to book their travel way in advance if they choose to. I sent a formal invitation closer to the date. Is there a time frame that the “at home” reception should be held when returning from destination wedding? We originally did not plan on having one but now feel we’d like to. We return April 27th…when is too late?? 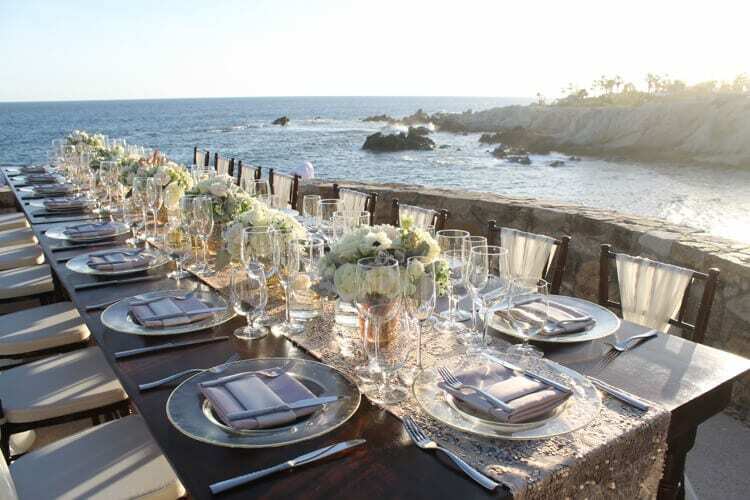 Most people host their at home reception within 2-3 months of the destination wedding. But there’s no hard and fast rule that says you can’t have it later. I know people who have had it many months or even a year later due to weather, work, or other circumstances. If you wait that long, maybe you can skip the wedding dress and make it more of a “marriage celebration” rather than a “second Wedding” with all the bells & whistles.